 The International Iron Metallics Association (IIMA) is an international trade association representing the global ore-based metallics industry. The Members of IIMA represent many of the world’s producers, traders and distributors of ore-based metallics as well as other companies associated with the industry, such as suppliers of raw materials, freight and logistics services, technology, equipment, etc. It is IIMA’s policy to govern its activities by the standards of the strictest and most developed antitrust and competition law principles, especially those of the United States (USA) and the European Union (EU). IIMA also acknowledges that multiple jurisdictions in addition to the USA and EU have become increasingly vigorous with respect to antitrust and competition law enforcement. Antitrust and competition laws in the EU, USA and in other jurisdictions are intended to ensure that there is free and open competition in business and expressly prohibit any business behaviour, practice, activity or agreement that restrains or limits competition. With their meetings of members who are often competitors, trade associations must be particularly careful to ensure compliance with these laws. Failure to comply can result in serious consequences, both financial and legal/criminal, for the association, member companies and their employees.It is noteworthy that various antitrust and competition law authorities have recognised that a strong antitrust policy and compliance guidelines can serve as factors in determining whether to pursue investigations where trade associations are concerned. customers or classes of customers. any discussions of present or future capacity or production must be monitored or approved by Legal Counsel. These principles apply at both IIMA meetings and social events. The purpose of IIMA's Code of Conduct is to ensure that the conduct of IIMA, its staff, contractors and its Members does not raise antitrust issues in any applicable jurisdiction. It is therefore an obligation of each IIMA Member, staff member and contractor to be familiar with this Code of Conduct and to abide by it. However, it is fundamental that none of the foregoing should deter membership in IIMA or discourage Members from participation in its activities. The courts (including the US Supreme Court) and antitrust enforcement authorities have recognised that legitimate trade and industry association activities can promote competition and efficiency. Furthermore, they can provide industry and public benefits, such as ensuring safety and protecting the environment. In addition, trade association activities can create a better and more informed marketplace, permitting individual Members to determine what makes business sense for themselves, the industry and the public at large. IIMA's Code of Conduct applies to all IIMA meetings, communications and other activities and must be observed and followed at all times. Any member who has any questions with respect to these guidelines or compliance with antitrust laws should in the first instance contact the Secretary General who will obtain appropriate legal advice.